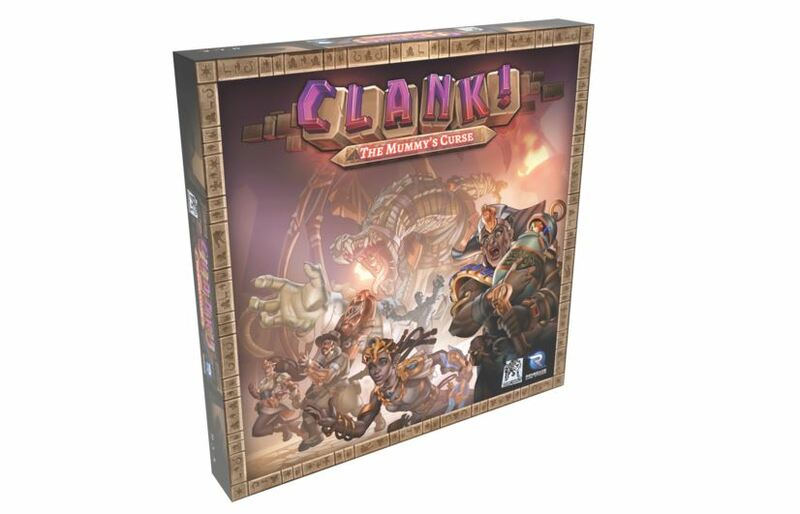 For those that are fans of Clank!, you'll be excited to hear about the Clank! 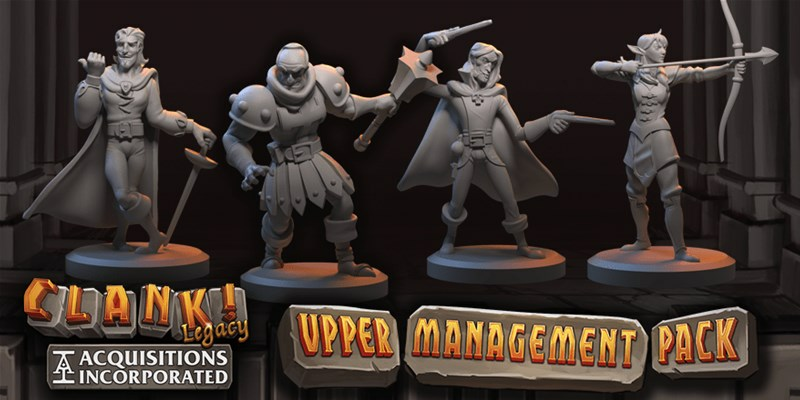 Legacy Acquisitions Incorporated Upper Management Pack. There's new heroes to play as in the game, as well as unique starting decks for each. No longer just having all the exact same starting gear, you can differentiate yourself right off the bat. Plus, there's new figures for your character, adding more look to the game. Attendees of PAX East will be the first to be able to pick up this new set. When searching an ancient tomb or some ruins or other possibly-dangerous place, it behooves you to be as quiet and as careful as possible. You don't want some errant noise or motion to alert others to your presence. Of couse, that can end up happening anyway. And that's what does happen in Clank! from Renegade Game Studios. 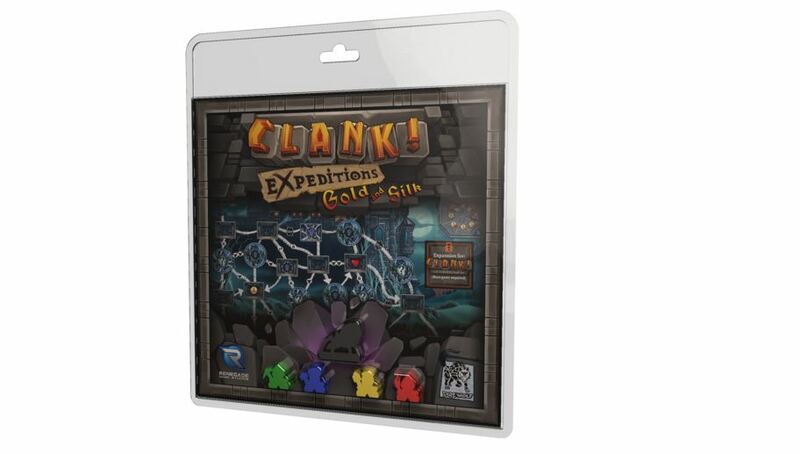 They've released a new mini-expansion set as part of their Expeditions line. It's called Gold and Silk. The Pyramids of the ancients. Grand funerary vaults to powerful kings of the past. 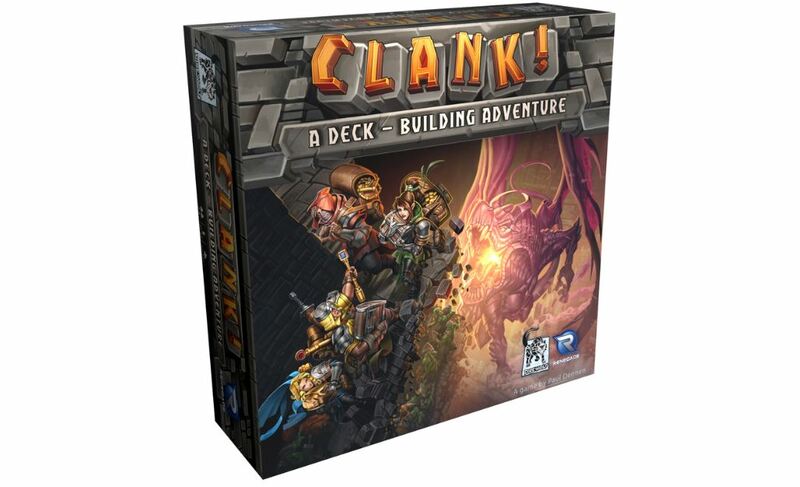 Renegade Game Studio has announced Clank! The Mummy's Curse, a new expansion to the popular game series. 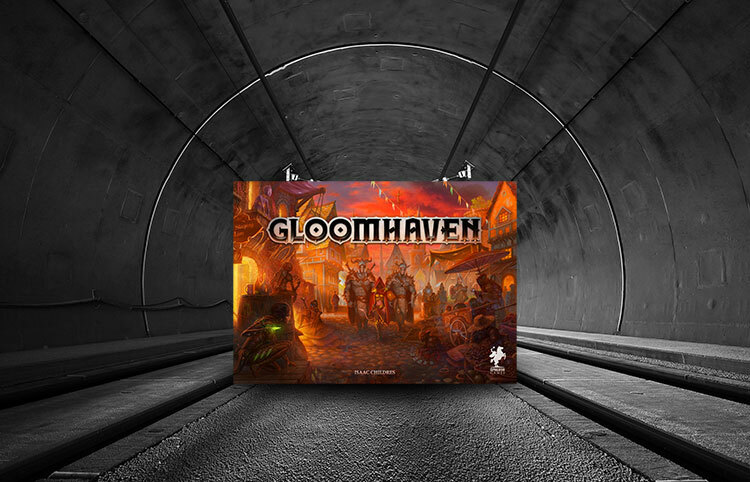 Make your way through the twisting halls and passageways, looking to get all the treasure you can while making sure to stay quiet, lest the deadly Croxobek hears you. The week rolls along (and I've got Ace of Spades playing), so you know I'm working at a pretty fevered tempo. If I'm going to keep up this pace as I work on TGN stuff and then get busy with some work on (redacted), I need to get a good meal of bite-sized gaming stories. Good thing that's just what we've got here. On the platter today we have: Free Hearts February From Advanced Deployment, Luxury Hand Crafted Playing Card Holders On Kickstarter, SpecForce Rangers: Outlanders Phase 4 Sci-Fi Minis Up On Kickstarter, Knuckleduster's Latest Wild West Release Now Available, The Third Law Coming to Kickstarter This Spring, PenguinComics.com Releases Four Horror/Fantasy Fonts for RPG Developers, Renegade Companion App now includes Clank, New Miniatures Released by RBJ Game Company, Battlefront Features Team Yankee East German Gaming Aids, and Sally 4th Releases Sloppy Jalopy 28mm Chieftain kit. Renegade Game Studios and Dire Wolf Digital are teaming up to bring you a new deck-building game at Gen Con (well, they're bringing it to you after Gen Con as well, but it'll be debuted at Gen Con). The game is called Clank and it's all about trying to get a nice nap in... kind of.